Beach weddings in Goa are a great alternative to the elaborate and busy affairs that traditional weddings here tend to be. Fun, relaxed and yet romantic and celebratory, they are ideal for an out of the box wedding style. 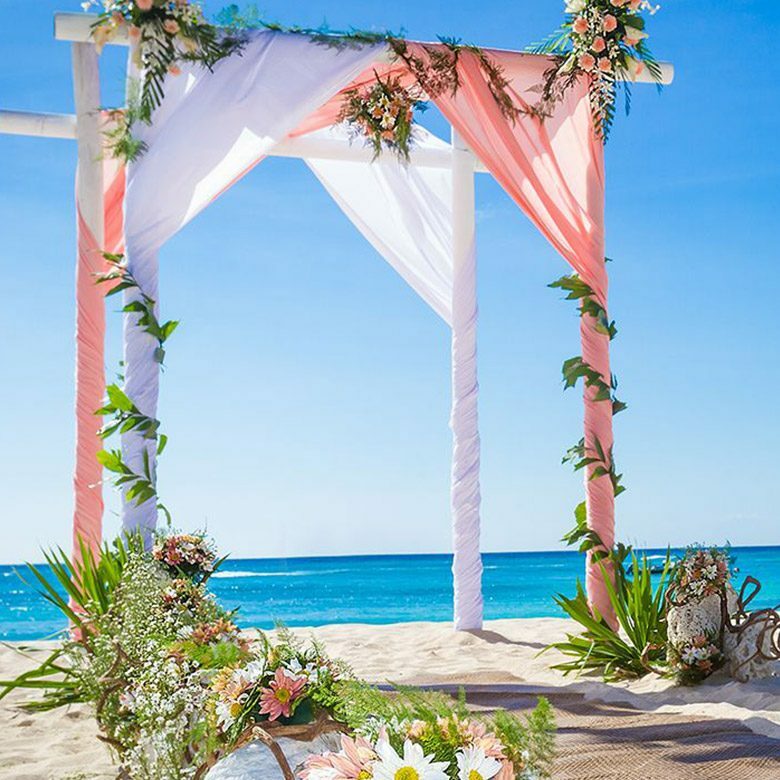 If a beach wedding seems to be on the cards, we can help you plan a beautiful beach wedding for you. Goa is an idyllic wedding destination due to its serene beaches, scenic views, beautiful locales, exotic cuisine, vibrant restaurants, and gorgeous hotels and resorts along the coastline. This beach town has an ambiance and beauty to pull off any kind of wedding, whether you want yours in a luxury hotel with a sea view or on a beach. Also, a destination wedding in Goa provides an opportunity for you and your guests to explore Goa and indulge in numerous adventures that it has to offer, all during those free hours in between. To tie the nuptial knot in Goa, you can choose between North Goa and South Goa. North Goa has a few luxury hotels and resorts, while South Goa is brimming with five-star hotels and resorts. All the five-star hotels and resorts in Goa have indoor as well as outdoor venues for weddings. Most of the hotels and resorts are located along the coastline, offering a perfect setting for a dream wedding. In addition, beach restaurants and shacks are also available for a fancy wedding.